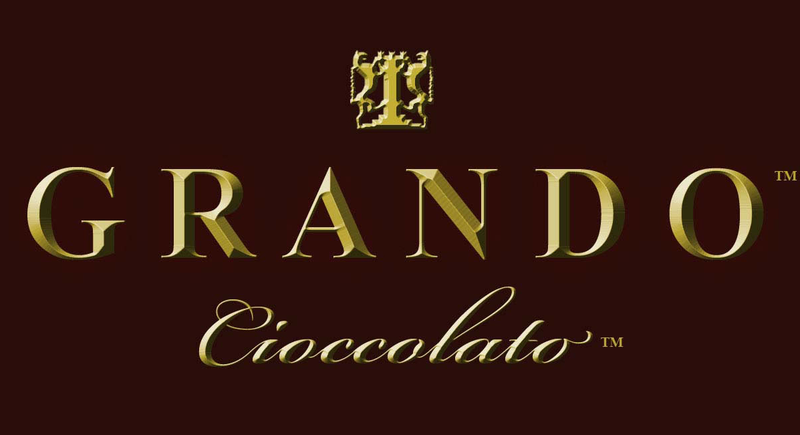 "Grando chocolates are the epitome of finesse in the world of chocolate. Perfection to the discerning palette." Clarissa Burt, Media Group Founder The ENUF Network. "I had the good luck to try Grando Cioccolato starting from one of the earliest batches. This chocoholic thinks it is some of the best I have ever had. and you have a wonderfully rewarding and decadent experience!" Bill Birrell, Director & Producer. Grando is the Lamborghini of chocolates! Nancy Grando has impeccably created the most delicious chocolates, unlike any chocolate that I have ever tasted before. In addtion to being the most delicious chocolate that I've ever tasted I fell in love with the aesthetics of the chocolates, such as chocolate diamonds that are individually wrapped in Italian silk wrappers, elegant swans, cigars infused wtih fine tobacco, chocolate perals and tartufi infused with Italian ingredients and chocolate grapes to pair with fine wine. One of my favorite daily indulgences is Grando Cioccolato's chocolate covered espresso beans that are produced with all organic ingredients. I enjoy giving Grando Cioccolato's luxury chocolates to my family and friends, as they are as healthy as they are delicious! I have received wonderful accolades by the recipients of the chocolates who treasure the signature sterling silver charm that is complimentary with every luxury signature box. I highly recommend Grando Cioccolato and I'm confident that once you taste them you will have a taste of Italy!